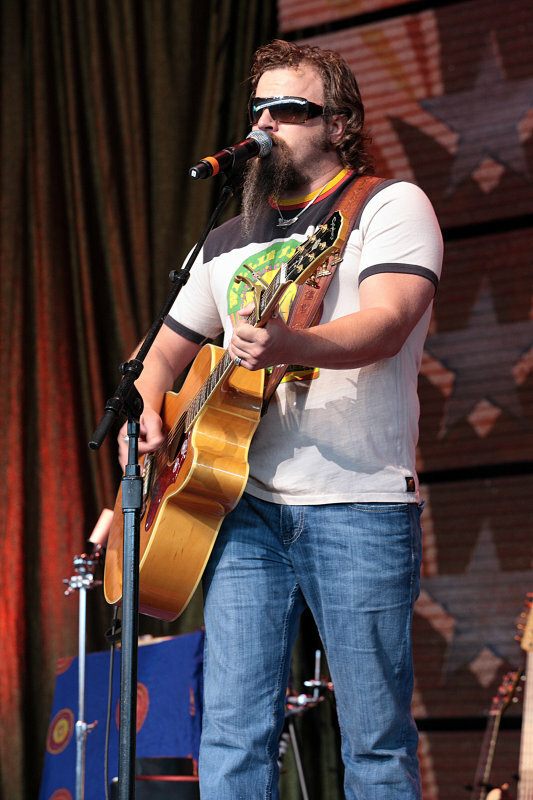 Born in Enterprise, AL in 1975, singer and songwriter Jamey Johnson has had a unique path to musical success. A former Marine, he worked hard to attain success, and did so in as low-key a manner as possible. As Billboard describes his early years in Nashville working strictly as a songwriter, "As his peers began securing publishing deals, they would ask Johnson to sing on their demos." This led to his first contract in 2005, though he would not hit the mainstream for another three years. In 2008, he won the CMA Song of the Year for "In Color" and since that time has "gained nearly universal critical acclaim". Jamey is sitting with his Grandpa looking through old pictures, and he shows him his old war pics, him and his grandma and long lost relatives. He's telling him telling the story isn't doing it justice, you have to had been there to see what it was all about.